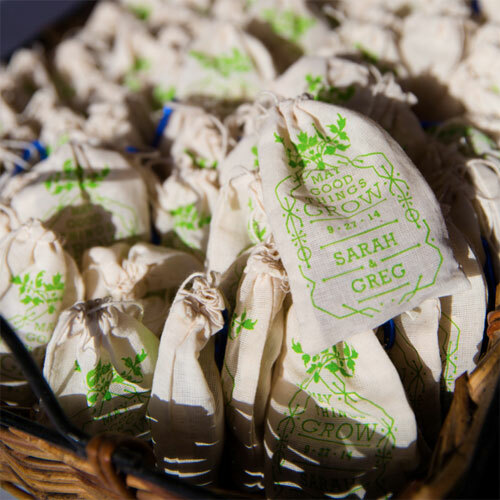 Head on over to The Knot to see photos of a lovely casual wedding in the mountains of Colorado, including this shot of our personalized seed bomb favors in action [photography by Timothy Faust]. Earth Day is coming up on Wednesday! 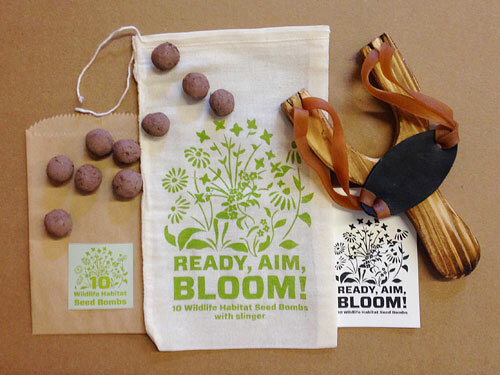 Here’s a project we designed and produced for the Skandalaris Center at Washington University in St. Louis to celebrate Earth Day and promote interdisciplinary innovation and entrepreneurship. A few weeks ago, we relocated our home and business from Cincinnati to Indianapolis. 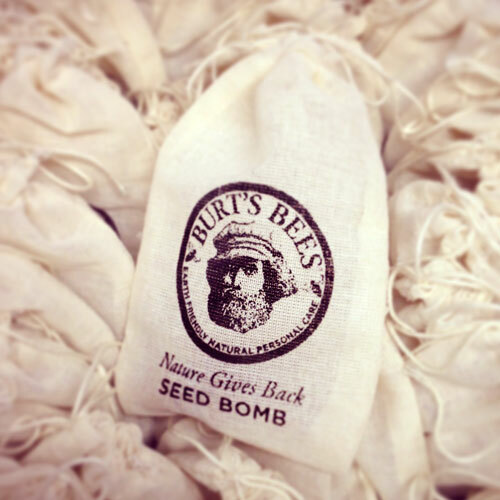 In the middle of our move, we got an amazing custom order from Burt’s Bees for custom seed bombs to be given away at this Saturday’s Cultivate Festival in Phoenix. Producing this order was a bit of a rollercoaster, but we’re so pleased with the result and only wish we could attend the event ourselves! 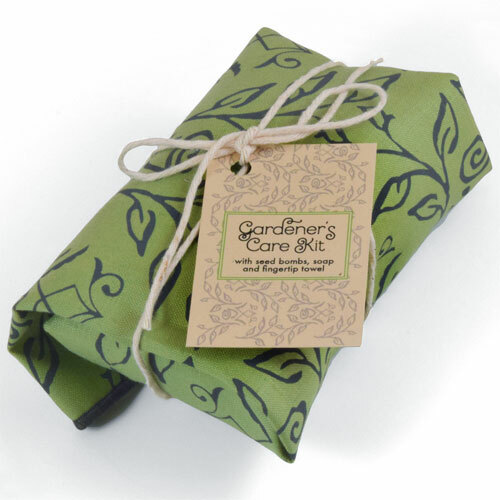 Our new Gardener’s Care Kit includes seed bombs and a bar of soap, wrapped up in a linen fingertip towel, perfect as a gift for the beloved gardener in your life! 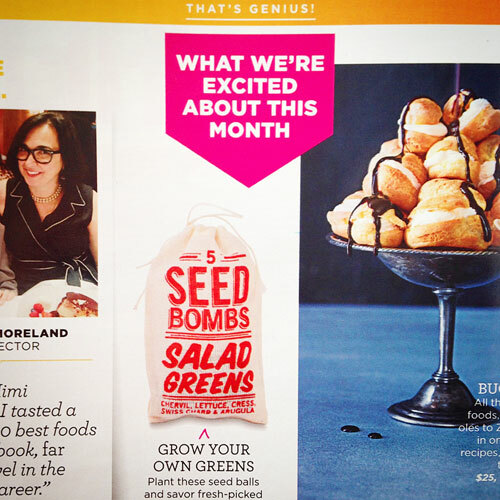 We’re thrilled that our Salad Greens Seed Bombs are included in the March 2015 Good Housekeeping Magazine. 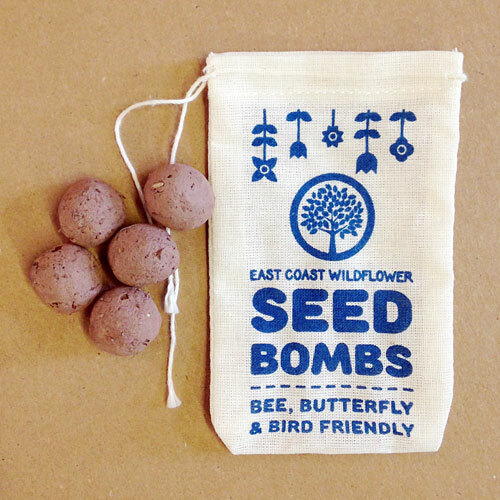 It’s too cold to garden in most parts of the US right now, but you can grow these seed bombs on a sunny windowsill and enjoy your mini crop in just a few weeks! 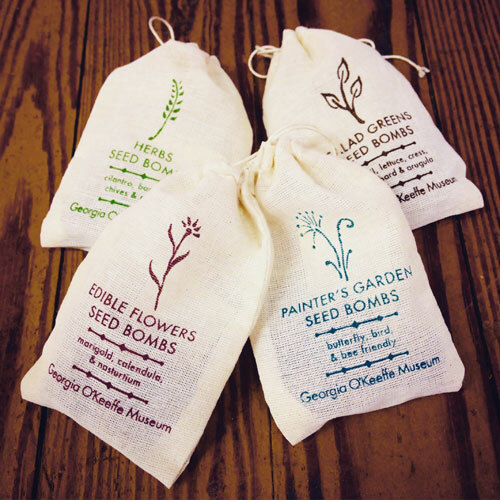 We were honored to produce custom seed bombs for the Philadelphia Flower Show, taking place 28 Feb-8 Mar 2015 at the Pennsylvania Convention Center. Hosted by the Pennsylvania Horticultural Society, this is the longest-running and largest indoor flower show in the world!